In recent weeks, I have read some wonderful titles published by Gaunt Books, home of English translations of popular French works. 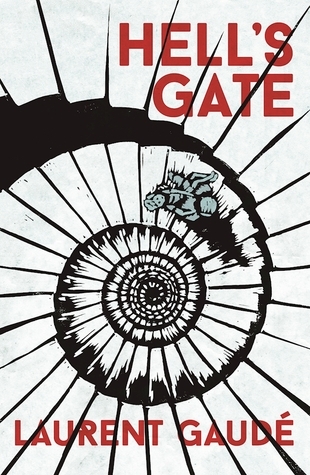 When browsing the ARCs over on Netgalley I as intrigued by the title, Hell's Gate and requested permission to read. At the time, I was unsure whether this would be a horror/supernatural title, but bore in mind my enjoyment of previously published titled from Gaunt. To my pleasant surprise, I soon discovered that Hell's Gate is not of the horror genre, Instead, I would suggest this closer to the magical realism genre: a study in grief and revenge in which a grieving father follows in the footsteps of Dante in a journey to Hell. Neapolitan taxi driver Matteo is consumed with despair when his son, Pippo, gets caught in the crossfire of gang warfare on his way to school. His wife, Gabriella, plunges into the depths of grief and asks Matteo to either bring her son back, or collect the head of the man who murdered him. A mysterious photograph arrives with the name and address of the murderer, and Matteo readies himself for the moment of revenge. But at the last moment, his nerve fails him. This is more than Gabriella can take: that same day, she leaves her husband to return to her hometown in the hope of losing all memory of the son - and the love - she has lost. Meanwhile, Matteo encounters strangers in a cafe who raise the possibility that Pippo could be raised from the dead by travelling to a gate where the line between life and death is most blurred. Matteo is able to travel through this gate to Hell itself to find his dead son, but is unable himself to return. I thoroughly enjoyed this book, and was very glad to have requested it knowing it may not have been something I'd appreciate. Hell's Gate will be published by Gallic Books on 11th April 2017 and is available to order from Waterstones and other bookstores.